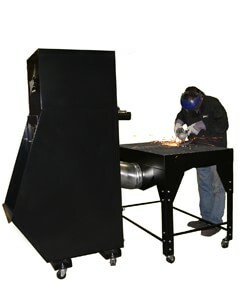 Micro Air's® EXTREME AIR-MAX Downdraft Tables or the line of ducted dry or wet tables, provide a modular, portable and adjustable downdraft work surface ideal for welding, grinding, soldering, sanding and other finishing processes. 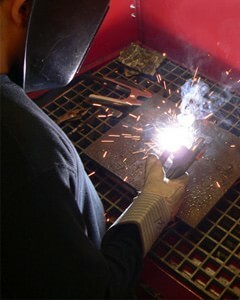 They offer the flexibility to configure a worktable to exactly meet application needs, space, and worker preference. 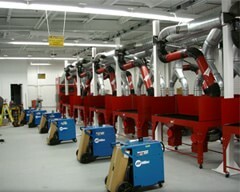 Downdraft Tables draw contaminants away from worker vision and breathing zones, increasing work quality and decreasing air quality hazards to workers in surrounding areas. Tables can be configured with a variety of options to fit individual needs. So whether you're looking for a self-contained table, or one to be ducted to other equipment, Micro Air® provides the unit to address your particular needs. XA23M, with up to 250 FPM of downdraft velocity, effectively pulls smoke, fumes and contaminants away from the workers breathing and vision zones. Micro Air® XA34M self-contained 3' x 4' downdraft table features Micro Air's revolutionary RotoPulse® filter cleaning system which effectively cleans the entire area of the cartridge, providing longer filter life. 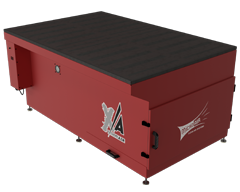 These tables are ideal in welding, grinding & deburing, sanding & finishing, soldering, powder mixing, and buffing applications. 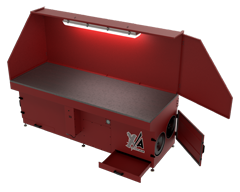 XA46M, Micro Air® 4' x 6' downdraft table pulls contaminants away from workers breathing and vision zones, clearing the air of harmful contaminants. Tables can be configured with or without the back and side shields, and feature a wide range of operation specific options. 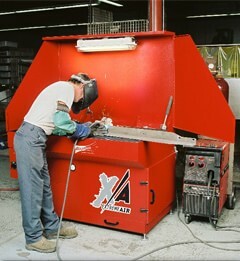 Micro Air XA38M Downdraft Table, engineered for safety, incorporates a baffle spark arrestance design, providing for ultimate protection from sparks reaching the filter media, ease of maintenance and increased load capacity. Tables can be configured with or without the side and back shields and feature a wide range of options. HYDROMAX®...Micro Air's line of wet collectors provide the economical, simplified solution to dust collection in applications where there is risk of deflagration or explosion. Ducted directly to an industrial operation or to a WCDDT (Downdraft Table), the HYDROMAX® wet collector captures aluminum, titanium or other volatile dust at the point where it is generated, drawing the particulate into the water-wash system. The HYDROMAX® series provides OSHA / NFPA compliant, source-capture of volatile materials without the addition of costly components required with traditional dust collectors, ie. explosion vent, backblast dampers, fast acting valves, chemical isolation. 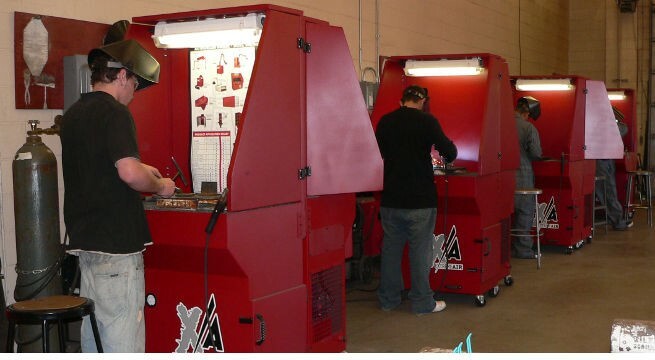 The Micro Air line of Down Draft Tables offer the ultimate in engineered, packaged, pollution control equipment. The down draft table provides the operator with a clean breathing zone while not restricting flexibility of the work surface.